Low surface brightness tidal streams surrounding NGC5907 from From Mart´ınez-Delgado et al. (2008). One of the major recent advances in astronomy has been the discovery of ubiquitous tidal streams of disrupted dwarf galaxies surrounding the Milky Way and other nearby galaxies. The existence of such streams fits well into the hierarchical picture of galaxy formation, and has caused a re-assessment of traditional views about the formation and evolution of the halo, bulge, and disk of our Galaxy. The streams can be studied in detail through resolved stars, but only a few galaxies are close enough to be studied in this way. Studies of more distant galaxies in diffuse light will be important for understanding the demographics of streams in general. Such studies have a bearing on a variety of interesting issues. The streams are heated by interaction with dark matter sub-halos within the larger galaxy halo. Statistical studies of the widths of tidal streams may thus provide some constraints on the clumpiness of dark matter halos. This is important because CDM models predict hundreds of dwarf galaxy mass halos in Milky Way size galaxies, whereas we only know of a few dozen such galaxies. This could be telling us that the dark matter power spectrum cuts off at dwarf galaxy scales, or it could be signaling that star formation is suppressed in low-mass halos. 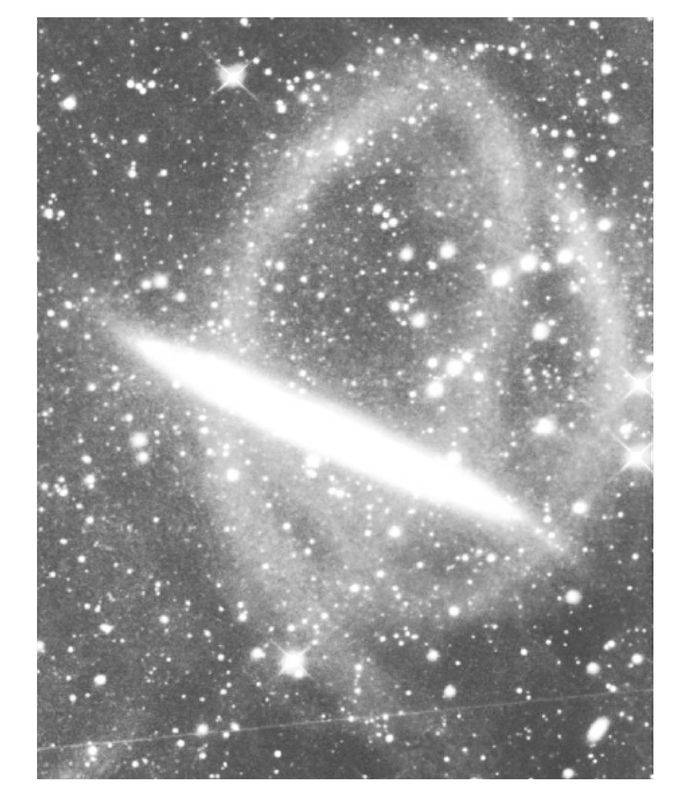 The shapes of tidal streams also provide constraints on the shapes of galaxy halos. This can be studied statistically using large samples of tidal streams revealed by deep images (see Figure). By the time LSST begins observing, we expect that hundreds of individual galaxies will have been targeted for deep study with other facilities. LSST, however, will allow us to createa deep, unbiased statistical survey of thousands more galaxies. At z = 0.1, a semi-major axis of 50 kpc corresponds to 27". A dwarf galaxy of absolute magnitude MR,AB = −16 stretched uniformly around a circular stream of radius 27" with a half-light width of 2 kpc will have a mean surface brightness of μR,AB = 29.2, 0.07% the mean dark-sky brightness. The ability to detect and measure the parameters of such streams depends critically on the flatness of the LSST sky background or the ability to model it.